My rating: 9/10. Very good watch. High-end G-Shock watch. Today I’m doing a G-Shock GW-3000B review. 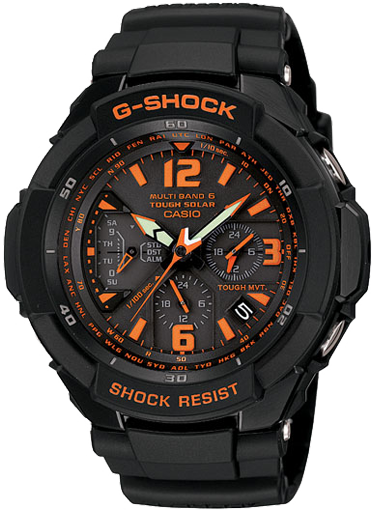 The GW-3000B is one of Casio’s higher end G-Shock watches that is part of their aviation line. This model has a tolerance for up to 12g of centrifugal force, that’s enough to stand most of your aerial maneuvers. 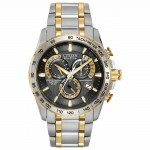 G-Shock watches are known for their excellent durability and oversized chunky design. Being a higher end and obviously more expensive watch than your standard G-Shock you can expect a quite the list of impressive features, and this watch delivers on that. It uses Tough Solar technology to power itself using light. This not only saves you money from battery changes but it’s also better for the environment. This Tough Solar technology has a power reserve of up to 5 months which is pretty impressive. Another great feature is the atomic timekeeping. This makes the GW-3000B extremely accurate as it automatically synchronises with an atomic clock. It’s a very nice feature that I like to see in these higher end watches. A great feature of this watch is it’s TOUGH MVT system, that’s a collection of a few different bits of technology that’s I’ve touched upon but one you may not have heard of is ‘automatic pointer calibration’. This pointer calibration system checks the home position of the pointer every hour and corrects it when needed. If for example you drop the watch or it gets affected by magnetism, the watch will correct itself. Cool right. 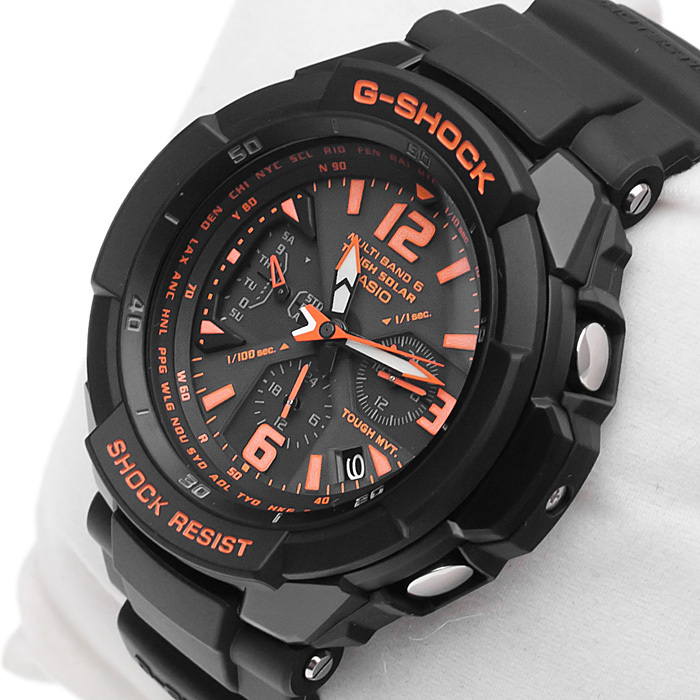 As you’d expect this G-Shock watch features some of Casio’s best luminous technology. Casio Superluminova offers you some of the best lume available to keep the watch visible for longer and brighter than previous watches. The last thing I wanted to mention was the ever so slightly domed mineral glass that makes the watch much easier to read. Band Rubber strap, standard length, 22mm width, buckle style clasp. Case Stainless steel casing, sizing diameter: 47 mm and thickness: 16 mm. Dial Analogue display. Features a date display. The window lens is made of specially hardened mineral glass with a slightly domed effect that offers a good level of scratch resistance. The G-Shock GW-3000B is a very high-quality watch that is ideal for those who love the G-Shock design but want something more. 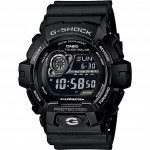 It’s great to take a look at these high-end G-Shock watches as I’m sure they’re very popular among Casio fans. 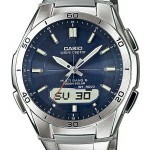 If you like large watches then this model would be something worth considering with its 47mm casing diameter. Personally, I really like these oversized watches so am always happy to recommend them. This style of watch comes in a couple of varieties, I’ve features the rubber strap edition here but a metal bracelet version is also available if that’s something you would prefer. Hope you enjoyed this G-Shock GW-3000B-1AER review. Find more watch reviews below. Bought my GW-3000b in early 2011. Since then it’s been my everyday work watch while in the military. Been with me to Afghanistan and Africa and it’s been beaten mercilessly. Nearly 6 years later it’s never missed a beat, still functions perfectly and looks great despite some nicks. The resin band also shows no signs of wear. I had just finished pilot training and wanted to treat myself to a watch a little nicer than a $30 Timex, so far it’s been the best investment I’ve ever made.